organized by World Student Bridge (WSB). 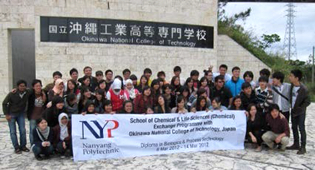 40 Singaporean students from Nanyang Polytechnic visited ONCT to join the Bio-Camp, the educational and cultural exchange program from 9th to 13th March, 2013. 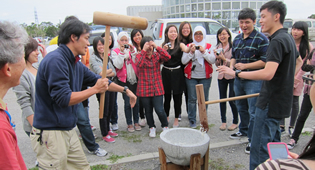 In the Bio-Camp, Singaporean students experienced Mochitsuki,a traditional Japanese ceremony where people pound sticky rice into mochi (rice cake). Students from the department of Information and Communication Systems Engineering visited Temasek Polytechnic in Singapore as a part of their study trip in October, 2013. 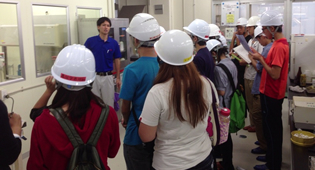 Taiwanese students visited Orion Beer factory in Nago with ONCT's students.